After doing some introspection, listening to fellow podcasters on different topics (e.g., hobby versus indie podcasters, and so called procasters / mainstream media radio broadcasters), and checking my book plan, I have decided to mix it up a bit and test a new podcast format and I will develop my workflow, over a period of time. Pajamas at the Gate. www.CoxAndForkum.com, February 15, 2005. This post has percolated for a couple of days, so I want to say cheers to the attendees at the podcasting conference, Podcast Movement. As my thoughts on the future on my podcasting have been sinking in and I have "chewed" on the challenges with the workflow of EGO NetCast, I stumbled upon a transcription service called Trint, thanks to Fizzle's blog post (10 Killer Links for Entrepreneurs in 2017) for Fizzle Show podcast, episode 226. @TrintHQ I will test your service for a new podcast segment for @EgoNetCast. HT @stephcrowder_ @fizzle. I like @JeffreyKofman's intro video. After I have finished tinkering and pondering, I have to catch up with the backlog of my guests provided by PodcastGuests.com. Avery Breyer - planned for the month of July. Ash Said It - planned for this month, August. A follow-up conversation with Ileane Smith. Read her post, The Future of Blogging. An EGO Search on Jenn Herman of Jenn Trends. Read Jenn's post, Which Instagram Metrics Really Matter? An EGO Search on StargatePioneer of Better Podcasting. Listen to episode 93, Embracing Emerging Internet Trends. A guy who picked my brain in a positive way asked me about the optimal length of a podcast. He will launch his podcast in September. I have become Nita Silverspjuth’s web PT, and she will launch her podcast, Management Studio (in Swedish), in September. Nita Silverspjuth is listening to the first episode of her forthcoming podcast. Equipment: PreSonus monitoring headphones 🎧 and IK Multimedia iRig lavalier 🎤 microphones. Recorded with Bossjock Studio app. Sound absorbing textiles (drapery and canvas) made by Katrin Alves Andreasson of TexStil in Gothenburg. Listening to Nita Silverspjuth's forthcoming podcast. Episode 001 in the making. PreSonus monitoring 🎧 headphones. Sound absorbing canvas on the wall. Made by Texstil. The Messengers podcast documentary t-shirt. Joel Comm’s post, The One Secret to Success, and video, 5 Simple Steps to Podcast Success. You could say that this is the tangram puzzle of podcasting! The Tangram Puzzle of Podcasting. It will be included in the blog post for the next solo episode of EGO NetCast podcast. The episode will be published on August 21. Subscribe to my newsletter, Lyceum Bulletin. 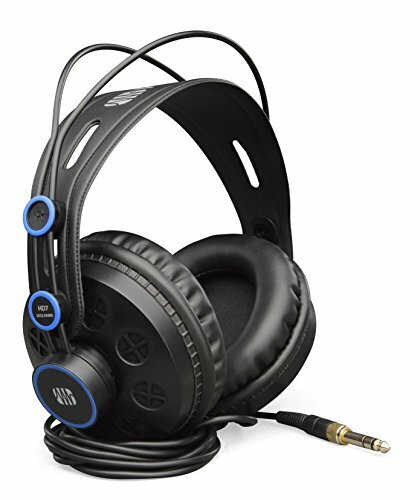 Listen to the monitoring headphones by PreSonus. Check out the updated netcasts page with resources. What have I missed? Related: My posts, I Have a Message and Independence Day.